The purpose of this directive is to implement the "Patient Self Determination Act" and the State's public policy to encourage the execution of advance health care directives. The Patient Self Determination Act requires that each hospital and nursing facility receiving federal Medicare or Medicaid funds must provide information to every patient/resident, about the facility's policies concerning implementation of Advance Directives, and distribute a written description of State law concerning Advance Directives to the patient/resident. It is also the declared policy of the State of South Carolina to promote the use of Advance Directives as a means of encouraging patient self-determination and avoiding uncertainty in a health care crisis. While competent, individuals may anticipate the possibility of later incapacity and may prepare Advance Directives stating their desires regarding the provision or withholding of medical care in such event. It is the Department's policy to encourage the use of advance health care directives and to honor Advance Directives. However, no Departmental facility shall condition the provision of care or otherwise discriminate against an individual based on whether or not the individual has executed an advance health care directive. For purposes of the Patient Self Determination Act and this directive, "Advance Directive" means a written instruction such as a living will or health care power of attorney, recognized under State law (whether by statute or by the courts of the State) and relating to the provision of health care when the individual is incapacitated. similar in purpose are commonly referred to as a "living will." this Directive as Appendices 2 and 3.
expression of a patient's desires which appears genuine. set forth in the Advance Directive are met. Advance Directives in any ongoing client education programs. Advance Directive, staff shall request a copy. them aware of, and supply a copy of, the client's Advance Directive. individuals to witness the patient's/client's execution of the form(s). of a Desire for a Natural Death. Staff need not provide assistance to a patient/client in circumstances in which staff believe the patient/client is unable to make an informed and understanding decision regarding the execution of an Advance Directive. _____ day of _______________, 19 _____. which the patient has been transferred. facility for inclusion in the patient's chart at such facility. returned to other responsible party acting on the patient's behalf. Each inpatient facility shall provide at least annually for staff education on Advance Directives. Mental health centers shall provide clinical staff with information concerning Advance Directives and the provisions of this Directive. In addition, the Department, its inpatient facilities and mental health centers shall seek appropriate opportunities to provide community education concerning Advance Directives. This directive rescinds and replaces SCDMH Directive No. 757-91, "Patient Self Determination Act." If at any time I have a condition certified to be a terminal condition by two physicians who have personally examined me, one of whom is my attending physician, and the physicians have determined that my death could occur within a reasonably short period of time without the use of life-sustaining procedures or if the physicians certify that I am in a state of permanent unconsciousness and where the application of life-sustaining procedures would serve only to prolong the dying process, I direct that the procedures be withheld or withdrawn, and that I be permitted to die naturally with only the administration of medication or the performance of any medical procedure necessary to Provide me with comfort care. means, including medically or surgically implanted tubes. I direct that nutrition and hydration NOT BE PROVIDED through any medically indicated means, including medically or surgically implanted tubes. In the absence of my ability to give directions regarding the use of life-sustaining procedures, it is my intention that this Declaration be honored by my family and physicians and any health facility in which I may be a patient as the final expression of my legal right to refuse medical or surgical treatment, and I accept the consequences from the refusal. I am aware that this Declaration authorizes a physician to withhold or withdraw life-sustaining procedures. I am emotionally and mentally competent to make this Declaration. wish to do so, please enter that person's name in the space below. (5) By YOUR EXECUTING ANOTHER DECLARATION AT A LATER TIME. We, ____________________and ____________________the undersigned witnesses to the foregoing Declaration, dated the _______ day of ____________________ , 19 ___ at least one of us being first duly sworn, declare to the undersigned authority, on the basis of our beat information and belief, that the Declaration was on that date signed by the declarant as and for his DECLARATION OF A DESIRE FOR A NATURAL DEATH in our presence and we, at his request and in his presence, and in the presence of each other, subscribe our names as witnesses on that date. The declarant is personally known to us, and we believe him to be of sound mind. Each of us affirms that he is qualified as a witness* to this Declaration under the provisions of the South Carolina Death with Dignity Act in that he is not related to the declarant by blood, marriage, or adoption either as a spouse, lineal ancestor, descendant of the parents of the declarant, or spouse of any of them; nor directly financially responsible for the declarant's medical care; nor entitled to any portion of the declarant's estate upon his decease, whether under any will or as an heir by intestate succession; nor the beneficiary of a life insurance policy of the declarant; nor the declarant's attending physician; nor an employee of the attending physician; nor a person who has a claim against the declarant's decedent's estate as of this time. No more than one of us is an employee of a health facility in which the declarant is a patient, If the declarant is a resident in a hospital or nursing care facility at the date of execution of this Declaration, at least one of us is an ombudsman designated by the State Ombudsman, Office of the Governor. the witness(es), this _____ day of _____________________, 19______. you need more space to complete the statement. mentally competent to make that decision. informing either your agent or your health care provider orally or in writing. social worker, lawyer, or other person to explain it to you. acknowledgement that the signature on the power of attorney is yours. spouse of any of these persons. would inherit your property by intestate succession. D. A beneficiary of a life insurance policy on your life. your agent or successor agent. F. Your physician or an employee of your physician. estate (persons to whom you owe money). unless the person is a relative of yours. should be included in your medical record. Home Telephone: ________________________ Work Telephone: ________________________as my agent to make health care decisions for me as authorized in this document. broad as possible, except for any limitations I may state below. to seek actual or punitive damages for the failure to comply. organs for purposes of transplantation. contained in the Declaration will be given effect in any situation to which they are applicable. which the Declaration does not apply. burdens of the treatment outweigh the expected benefits. I want my agent to consider the relief of suffering, my personal beliefs, the expense involved and the quality as well as the possible extension of my life in making decisions concerning life-sustaining treatment. b. if I am in a state of permanent unconsciousness. (3) ________DIRECTIVE FOR MAXIMUM TREATMENT. I want my life to be prolonged to the greatest extent possible, within the standards of accepted medical practice, without regard to my condition, the chances I have for recovery, or the cost of the procedures. may be withheld or withdrawn under the conditions given above. ________I do want to receive these forms of artificial nutrition and hydration. IF YOU DO NOT INITIAL EITHER OF THE ABOVE STATEMENTS, YOUR AGENT WILL NOT HAVE AUTHORITY TO DIRECT THAT NUTRITION AND HYDRATION NECESSARY FOR COMFORT CARE OR ALLEVIATION OF PAIN BE WITHDRAWN. to my agent, each to act alone and successively, in the order named. other prior power of attorney. b. This power of attorney is intended to be valid in any jurisdiction in which it is presented. THE EFFECT OF THIS GRANT OF POWERS TO MY AGENT. I sign my name to this Health Care Power of Attorney on this ______ day of _________________ 19 .
duress, fraud, or undue influence. patient. I am not appointed as Health Care Agent or Successor Health Care Agent by this document. signed, unless sooner revoked or replaced. I have experienced past mental health treatment. my health care agent named in my Health Care Power of Attorney. B.____ I consent to being admitted to a hospital for mental health treatment. C.____ I do not consent to being admitted to a hospital for mental health treatment. health care agent named in my Health Care Power of Attorney. C.____ I do not consent to the administration of any psychotropic medication. to my health care agent named in my Health Care Power of Attorney. C. ____I do not consent to the administration of electroconvulsive therapy. threatening behavior appears at an end. the threatening behavior appears at an end. SOUTH CAROLINA HEALTH CARE POWER OF ATTORNEY FORM. I declare, on the basis of information and belief, that the person who signed or acknowledged this document (the principal) is personally known to me, that he/she signed or acknowledged this Addendum to Health Care Power of Attorney in my presence, and that he/she appears to be of sound mind and under no duress, fraud, or undue influence. I am not related to the principal by blood, marriage, or adoption, either as a spouse, a lineal ancestor, descendant of the parents of the principal, or spouse of any of them. I am not directly financially responsible for the principal's medical care. I am not entitled to any portion of the principal's estate upon his/her decease whether under any will or as an heir by intestate succession, nor am I the beneficiary of an insurance policy on the principal's life, nor do I have a claim against the principal's estate as of this time. I am not the principal's attending physician, nor an employee of the attending physician. No more than one witness is an employee of a health care facility in which the principal is a patient. I am not appointed as Health Care Agent or Successor Health Care Agent by this document. am aware of its provisions. YOU HAVE THE RIGHT TO MAKE HEALTH CARE DECISIONS THAT AFFECT YOU. You have the right to make all decisions about the health care you receive. If you do not want certain treatments, you can tell your doctor, either in person or in writing, that you do not want them. If you want to refuse treatment but You do not have someone to name as Your agent,, you can sign a living will. Most patients can express their wishes to their doctor, but some who are badly injured, unconscious, or very ill cannot. People need to know your wishes about health care in case you become unable to speak effectively for yourself. You can express your wishes in a health care power of attorney or a living will. In a living will you tell your doctor that you do not want to receive certain treatment. In a health care power of attorney you name an agent who will tell the doctor what treatment should or should not be provided. The decision to sign a health care power of attorney or living will is very personal and very important. This pamphlet answers some frequently asked questions about health care powers of attorney and living wills. These documents will be followed only if you are unable, due to illness or injury, to make decisions for yourself. While you are pregnant, however, these documents will not cause life support to be withheld. If you do not have a living will or health care power of attorney that tells what you want done, you do not know what decisions will be made or who will make them. Decisions may be made by certain relatives designated by South Carolina law, by a person appointed by the court, or by the court itself. The best way to make sure your wishes are followed is to state your wishes in a health care power of attorney, or sometimes, a living will. It you want to refuse treatment but you do not have someone to name as your agent, you can sign a living will. It You have questions about signing a. health care power of attorney or living will, you should talk to your doctor: your minister, priest, rabbi, or other religious counselor or your attorney. Finally, it is very important that you discuss your feelings about life support with your family. A health care power of attorney, also should be discussed with the people you intend to name as your agent and alternate agents to make sure that they are willing to serve. It is also important to make sure that your agents know your wishes. Are there forms for living wills and health care Powers of attorney in South Carolina? How are a Health Care Power of Attorney and a Living Will different? * The agent named in a health care power of attorney can make all of the decisions about your health care that need to be made. A living will affects only life support. * A living will affects life support only in certain circumstances. A living will only tells the doctor what to do if you are permanently unconscious or if you are terminally ill and close to death. A health care power of attorney is not limited to these situations. "Permanently unconscious" means that you are in a persistent vegetative state in which your body functions but your mind does not. This is different from a coma, because a person in a coma usually wakes up, but a permanently unconscious person does not. * A living will can only say what treatment you don't want. In a health care power of attorney you can say what treatment you do want as well as what you do not want. * With a living will. you must decide what should be done in the future, without knowing exactly what the circumstances will be when the decision is put into effect. With a health care power of attorney, the agent can make decisions when the need arises, and will know what the circumstances are. * An Ombudsman from the Governor's Office must be a witness if you sign a living will when you are in a hospital or nursing home. An Ombudsman does not have to be a witness if you sign a health care power of attorney in a hospital or nursing home. I went to be allowed to die a natural death and not be kept alive by medical treatment heroic measures, or artificial means. How can I make sure this happens? The best way to be sure you are allowed to die a natural death is to sign a health care power of attorney that states the circumstances in which you would not want treatment. In the South Carolina form, you should specify your wishes in Items 6 and 7. You may not have a person that you can trust to carry out your desire for a natural death. It not, a living will can ensure that you are allowed to die a natural death. However, it will only do so if you are permanently unconscious or terminally ill and close to death. Which document should I sign if I want to be treated with all available life-sustaining procedures? You should sign a Health Care Power of Attorney, and not a living will. The South Carolina Health Care Power of Attorney form allows you to say either that you go or that you do not want life-sustaining treatment. A living will only allows you to say that you do not want life-sustaining procedures. What if I have an old health care power of attorney or living will, or signed one in another state? If you previously signed a living will or health care power of attorney, even in another state, it is probably valid. However, it may be a good idea to sign the most current forms. For example, the current South Carolina living will form covers artificial nutrition and hydration whereas older forms did not. How is a health care power of attorney different from a durable power of Attorney? A health care power of attorney is a specific type of durable power of attorney that names an agent only to make health care decisions. A durable power of attorney may or may not allow the agent to make health care decisions. It depends on what the document says. The agent may only be able to make decisions about property and financial matters. What are the requirements for signing a living will? You Must be eighteen years old to sign a living will, Two persons must witness your signing the living will form. A notary public must also sign the living will. 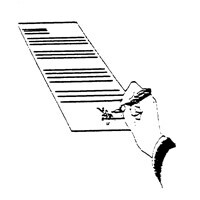 If you sign a living will while you are a patient in a hospital or a resident in a nursing home, a representative from the Governor's Office (the Ombudsman) must witness your signing. There are certain people who cannot witness your living will. The living will form says who cannot be a witness. You should read the living ,will form carefully to be sure your witnesses are qualified. What are the requirements for signing a health care power of attorney? You must have two witnesses sign "he document. The form tells you who cannot be witnesses. (These are the same people who cannot witness a living will.) Unlike a living will, the health care power of attorney may be signed in a hospital or in a nursing home without having someone from the Ombudsman's office present. It is not necessary to have a notary sign your health care power of attorney. Whom should I appoint as my agent? What if my agent cannot serve? You should appoint a person you trust and who knows how you feel about health care. You also should name at least one alternate,who will make decisions if your agent is unable or unwilling to make these decisions. You should talk to the people you choose as your agent and alternate agents to be sure they are willing to serve. Also, they should know how you feet about health care. Is them anything I need to know about completing the living will or health care power of attorney form? Each form contains spaces for you to state your wishes about things like whether you want life support and tube feeding. If you do not put your initials in either blank, tube feeding may be provided, depending upon your condition. Be sure to read the forms carefully and follow the instructions. Where should I keep my health care power of attorney or living will? Keep the original in a safe place where your family members can get it. You also should give a copy to as many of the following people as you are comfortable with: your family members. your doctor. your lawyer, your minister or priest, or your agent. Do not put your only copy of these documents in your safe deposit box. What if I change my mind after I have signed a living will or health care power attorney? You may revoke (cancel) your living will or health care power of attorney any time. The forms contain instructions for doing so. You must tell your doctor and anyone else who has a copy that you have changed your mind and you want to revoke your living will or health care power of attorney.